Chef Manuel Martinez | Chef & Owner of La Viga Culinary, Inc. Spend some time in the kitchen with Chef Manuel while he’s crafting a new dish and there’s a high probability you’ll hear him ask these questions. After over two decades, Chef Manuel’s methodology – adhering to his belief that, like the Seasons, tastes and styles change – is continually evolving, patently expressed in the creation of new and surprising flavor combinations that surprise the palates and satiate the appetites of the modern day diner at one of his two current restaurant concepts in Redwood City, California. La Viga Seafood & Cocina Mexicana is a casual, bistro-style concept with an unassuming aesthetic contrasted by beautifully vibrant ceviches, tacos, and entrees with bold flavors reminiscent of homemade comfort food. LV Mar builds off this casual concept with refined technique and execution of a wide variety of creative tapas and cocktails in a casual & modern space. To round out the his guests experience, detailed care is put into the creation of a unified and supportive culture throughout the La Viga Culinary Group (parent company of La Viga and LV Mar), promoting the growth and happiness of all staff members who work together to identify effective ways to create a delightful and sociable experience in which all guests can take a brief moment to stop and immense themselves in the moment to enjoy delicious food in great company. 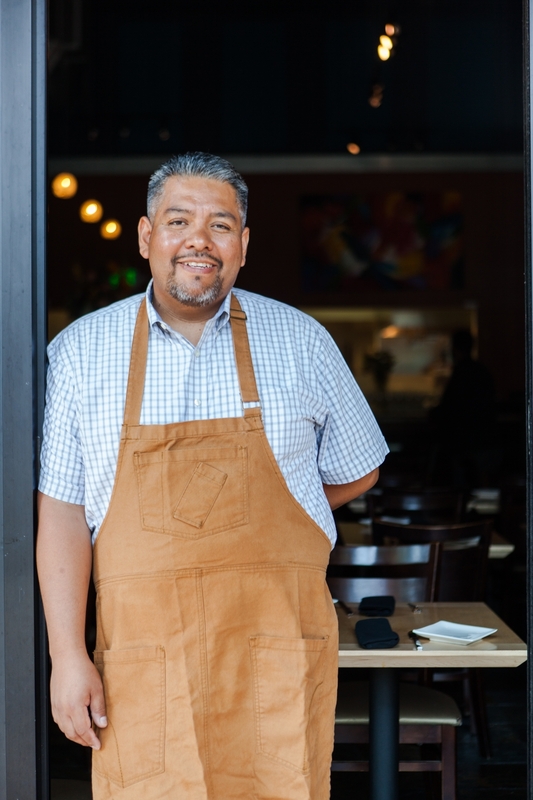 Outside the kitchen, Martinez enjoys spending time with his wife, Mayra, and their three kids, dining out, and supporting local charities and associations. of Chef Manuel’s dining concepts in Redwood City, California. Spreading his love of the culinary arts, often in support of an organization or celebration, details of all upcoming engagements will be listed here. Special brunch and dinner specials at LV Mar! Annual Fiesta celebration at LV Mar! Mother’s Day celebration with special lunch and dinner service. What is 4 (times) 2 (plus) 3?